Exactly the same as our other bulletproof vests. The same lightweight, Flexible Ballistic Material in a BulletProof Vest made for a woman. A stylish denim jacket with a hidden surprise: A Threat Level IIIA zip-out armor liner. Lightweight protection that can go anywhere and go unnoticed. Great for concealed carry permit holders! 40 years of experience in body armor makes this a leading maker of body armors and bullet proof vests. 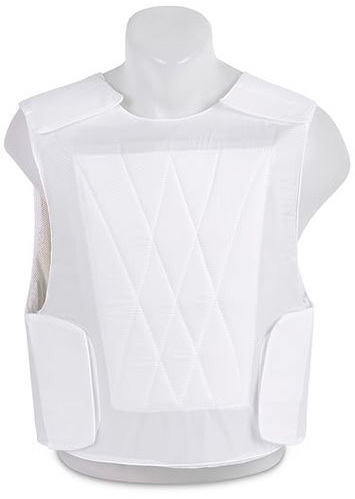 Our unique fragmentation and bulletproof vests have been combat proven under the harshest conditions and provide utmost protection while allowing easy maneuvering and mobility.Our Research & Development department specializes in developing and engineering body armor fragmentation and bullet resistant vests, to suit every mission and assignment.